Russian activity in the Arctic is within, as an Arctic bordering nation is certainly within, I would expect them to be doing that, and I would expect them to be operating there. I do not consider it a threat, per se, unless they operate outside of the norms of international behavior. Then it comes a threat Lewis told reporters at Chambers Field at Naval Station Norfolk, Va. The establishment of the U.S. 2nd Fleet is a welcome development. My position as the Deputy for BALTOPS I think signals that it provides another means of cooperation and providing security in this region. Rear Admiral Andy Burns told reporters. Vice Adm. Andrew Lewis has served as deputy chief of naval operations for operations, plans and strategy (OPNAV N3/N5) since August 2017. As head of 2nd Fleet, he would manage training and operations of naval forces in the Atlantic. 2nd Fleet is meant to serve a similar role as U.S. 3rd Fleet, which prepares naval assets for deployments in the Pacific. Lewis is a 1985 graduate of the U.S. Naval Academy and was designated a naval aviator in April 1987. He has commanded Strike Fighter Squadron (VFA) 106 and VFA-15, Carrier Air Wing 3 deploying with USS Harry S. Truman (CVN-75), Carrier Strike Group 12 deploying with USS Theodore Roosevelt (CVN-71), and Naval Strike and Air Warfare Center. As a flag officer, he has also served as the vice director for operations (J3) on the Joint Staff and the director of fleet training (N7) at U.S. Fleet Forces Command. 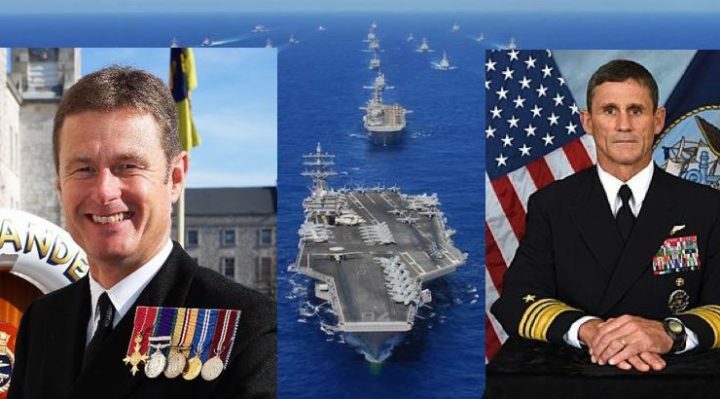 Below is a full rush transcript of the press conference by Vice Admiral Andrew Lewis Commander, U.S. Second Fleet, Joint Forces Command Norfolk and Rear Admiral Andy Burns , Commander United Kingdom Maritime Forces. Admiral Lewis: We’re here today in Vilnius, Lithuania for the BALTOPS 2019 Final Planning Conference. A few weeks after 2nd Fleet reestablished in August 2018 Admiral Foggo tasked us with planning and executing BALTOPS. So my staff began coordination and traveling across the Atlantic to ensure the continued security and stability of the region. I am here at the Final Planning Conference because it is important we get the planning right so we make BALTOPS 19 fit for its purpose and fit for its time. BALTOPS will mark the first time 2nd Fleet will operate in the European theater, but while 2nd Fleet might be new to the process, we join a practiced team of professionals. 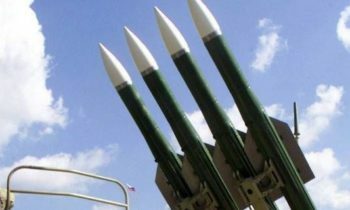 This year will be the 47th time our nations have executed BALTOPS together and only a few months ago the same players executed Trident Juncture. It’s fitting that as we gather here this week we are celebrating the 70th Anniversary of our NATO Alliance. The union that has been instrumental in maintaining regional peace and prosperity over the past 70 years. A union that has only grown stronger with the addition of our Baltic allies and partners. And worth noting, I’ve been absolutely overwhelmed with the support of our allies and partners given to us as we stand up 2nd Fleet. U.S. 2nd Fleet was reestablished last summer as a result of the recognition of a changing security environment. The establishment of 2nd Fleet which is focused on operations in the Atlantic and into the Arctic is one way our U.S. Navy is mobilizing to address the demands of the global security environment and to show our renew focus on maritime operations and stability in the region. 2nd Fleet is leading BALTOPS on behalf of Naval Forces Europe and as a maneuver arm for Admiral Foggo alongside the U.S. 6th Fleet. BALTOPS 2019 is our opportunity collectively to strengthen our partnerships, enhance regional capabilities, and to demonstrate how we will establish and maintain maritime superiority. We will only be successful at executing the mission if we practice, and what better opportunity to introduce 2nd Fleet to the theater than BALTOPS, a tried and true exercise involving our partners and NATO allies. At this time I’m going to turn it over to my Deputy for the exercise, a Royal Navy two star, Rear Admiral Andrew Burns. Rear Admiral Burns: I’m the Royal Navy’s Commander, United Kingdom Maritime Forces, and Admiral Lewis’ Deputy for BALTOPS as you’ve just heard. I think my role signals the strength of the U.K.-U.S. partnership between our respective navies but also our commitment to security in the Baltic region. The exercise is now in its 47th iteration, conducted annually, and takes place in the Baltic Sea. And it’s a premier maritime focus exercise that will take place later this summer. It’s scheduled to include air, maritime and ground forces from 18 nations, an annual joint multinational maritime focused exercise that provides an unrivaled training opportunity to promote and sustain cooperative relationships that are critical to ensuring the safety of sea lanes and security on the world’s interconnected oceans, and critical to the free flow of commerce and trade. It’s designed to improve flexibility and interoperability between all the participating nations and demonstrate the resolve among allies and partner forces in upholding the security of the Baltic Sea region. The exercise is important because it allows us to collectively gain experience operating forward, to build relationships with our partners and allies in the maritime environment, and to broaden our integration and interoperability further demonstrating our security cohesion. So ladies and gentlemen, that completes our opening remarks. Now over to you to any questions you might have. Question: BALTOPS is slightly different. Besides the fact that it is a first for a reactivated 2nd Fleet, can you give us more details on what it will be this time, such as the focus and what new assets, if any, and what kind and numbers? Admiral Lewis: This is Admiral Lewis. I’ll give a short answer and then I will also ask Admiral Burns to add anything to my answer as well. First of all this focus with 2nd Fleet running the exercise as an expeditionary fleet command headquarters embarked on the command ship normally in the exercise. We will be there executing the exercise, and what will be different is the higher headquarters, the headquarters that I will be working for will be NAVEUR and I will be exercising as a maneuver arm under NAVEUR. Additionally, we will be on the tactical level, we will be exercising some amphibious concepts that the NATO Amphibious Group has put together in principle, and we’re going to exercise those hypotheses as we execute the exercise. Those are two pretty significant changes to the exercise itself. Finally, in the overall, the exercise is recognition of the importance of the maritime in this region across the Atlantic and into the region in the Baltic on the ground. Rear Admiral Burns: I’ll just add a very short comment. The key for me in this exercise, the fact that it’s NATO representation but also with a joint expeditionary force maritime involved as well. That’s why you end up with 18 nations demonstrating their collective commitment to the security of the Baltic region. 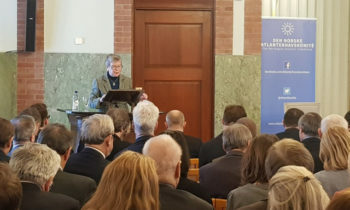 And of course the security of the Baltic is also connected to the security of the high seas more broadly, and particularly the Atlantic. So that is the key for me. It’s the collective security that’s being demonstrated by the participation of all those nations and they’re contributing force elements in every environment — air, land and sea. And as we go forward, it’s that combination of environments that will really contribute to the weighted effort. Question: I want to ask about the Strait of Hormuz and NATO’s participation in the Strait of Hormuz in regards to Iranian activity? Is that the question? Admiral Lewis: What I won’t do is speak for NATO in this regard, but what I will say, NATO countries writ large and the U.S. specifically as well as the U.K. are committed to freedom of the seas, freedom of navigation, and ensuring that we can exercise freedom of the seas and trade and goods can operate without being threatened by anyone. And we will do what’s necessary under those circumstances to ensure that choke points are not restricted or there’s not contested space in the maritime where it should not be, so we will maintain our commitment to that. Rear Admiral Burns: I would just add that there’s a strong and effective maritime coalition already operating in the Middle East to protect the sea lines of communication to and from the Gulf and as Admiral Lewis has pointed out, there are NATO nations who contribute to that coalition, but that is the framework that we will continue to operate within. Question: Russia’s building up its Arctic military presence. Do you view it as a threat? What is your fleet doing to counter it? Admiral Lewis: Russian activity in the Arctic is within, as an Arctic bordering nation is certainly within, I would expect them to be doing that, and I would expect them to be operating there. I do not consider it a threat, per se, unless they operate outside of the norms of international behavior. Then it comes a threat. And I will say on the U.S. side, the U.S. 2nd Fleet side and the alliance and partnership side, we fully recognize that we need to be able to operate in the Arctic. We need to be able to execute missions, everything from search and rescue to military operations if required. It’s a space in which, it’s international sea space, international waters, international air space over that sea space. Most recently, about six months ago, NATO and other partners operated above the Arctic Circle during Exercise Trident Juncture as a confirmation of that commitment to being able to operate in that region. Question: Admiral, could you tell us more about why 2nd Fleet is operating in Europe? Admiral Lewis: For about the last 15 or 30 years we have not been operating throughout the Atlantic as a continuous space. Militarily we have not been so much. We’ve been operating from the East Coast of the United States and deploying to certain regions throughout the world. The reason that Admiral Richardson, my Chief of Naval Operations, made the determination to reestablish the 2nd Fleet was in order to be able to operate in the Atlantic and ensure that we can execute high end maritime operations. 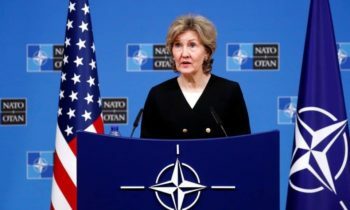 At the same time, NATO leadership made the determination to establish an additional joint force command called Joint Force Command Norfolk, in Norfolk, Virginia. So I’m dual hatted as the Commander of both 2nd Fleet and JFC Norfolk. The reason why we are operating in Europe as opposed to operating from Norfolk is one of the guiding principles that I was given in reestablishing 2nd Fleet was to be expeditionary in nature and being able to go forward into the Atlantic, all the way into the European continent. And in so doing I deploy and I am attached to Naval Forces European Command under Admiral Foggo. So that’s why we’re here. Rear Admiral Burns: Well, I can’t comment from a 2nd Fleet perspective, but from the U.K. perspective, the establishment of the U.S. 2nd Fleet is a welcome development. My position as the Deputy for BALTOPS I think signals that it provides another means of cooperation and providing security in this region. Of course security of the maritime is becoming even more important as the world becomes increasingly interconnected. So it’s to our mutual benefit and interest. Admiral Lewis: I do want to reinforce the commitment that NATO and our partners globally have to our deterrence mission and ensuring that stability and deterrence are the end states that we’re striving toward, maintaining a peaceful world in which, we’re maintaining that to our strength and capability. That is what is the important thing to get the returns.